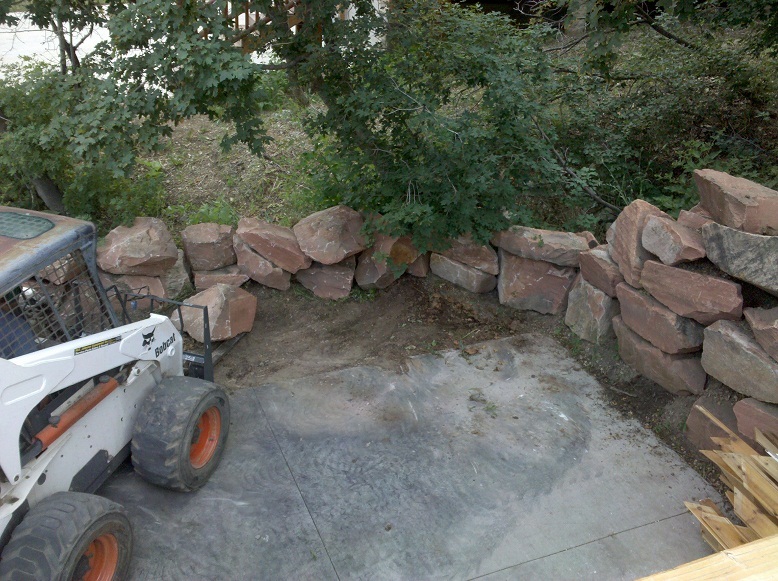 We got someone in the neighborhood to come over and move the rocks from the front yard to the side of the house. I think that the only thing MK didn’t like is that he didn’t get to drive the Bobcat. Who doesn’t want a Bobcat, really? The guy that came over was great with it! I bet he’d be really good at the claw game at the fair that you pull stuffed animals out of.